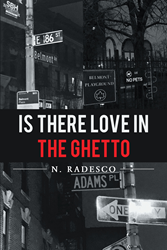 Recent release “Is There Love in the Ghetto” from Page Publishing author N. Radesco is a true account of the author’s journey of finding love in the ghetto. The author pours her heart and soul into this honest and provocative romance story. N. Radesco, a loving mother to her 2 sons, devoted writer and author, has completed her new book “Is There Love in the Ghetto”: a gripping and potent story of inspiration and devotion. This work delves into the ideas of self-identity, strength and faith. Published by New York City-based Page Publishing, N. Radesco’s candid work will capture the reader’s attention through graphic and fervent true stories. “Is there love in the ghetto? Does anybody know? Hopefully, by reading this book, you will get to find out. In this book, you’ll read my version of my love story. You know how there are three sides to every story: his, mine, and the truth. Well, this is my truth to finding love in the ghetto. This book was written from the heart. It’s about love in the ghetto and how it started and how it ended. In the book, you’ll read about some interesting aspects in my life: the drama I had to face and live with until this day. You’ll feel and understand how much I love my man and my sons. I wrote this book with tears in my eyes. This book was made from love,” shares author N. Radesco. Readers who wish to experience this reflective work can purchase“Is There Love in the Ghetto” at bookstores everywhere, or online at the Apple iTunes store, Amazon, Kobo, Google Play or Barnes and Noble.